Peep this week's ep of my podcast Apt. 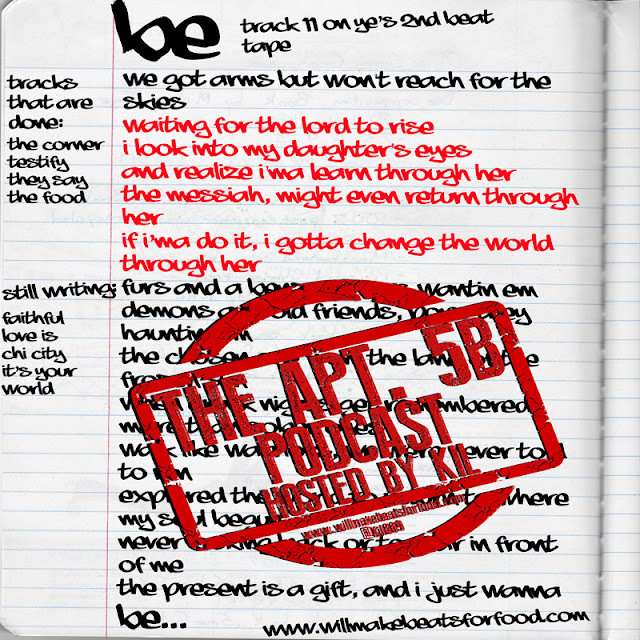 5B with Vern and JR where we're chopping it up about lyrics that speak to us personally and/or inspire us. Not too many times where you find three black man talking about inspiration and hip hop! Just ANOTHER dope ep ya'll and don't forget to subscribe to our You Tube and Mixcloud pages!